Their goal for this year is showcase their passion for dance through their routines, while continuing to enjoy their time together as a team and in the circuit. Although their biggest challenge is competing against a multitude of talented teams from the same circuit, they love the environment and community at competitions. A month ago, Moksha competed at the first Bollywood America point bid competition of the season: Dance Ke Deewane in Tampa, Florida. Even though the team did not place, they still had an amazing time in Florida, and are hoping to compete again sometime next semester. Even when facing adversity and low morale, Moksha is very supportive of each other and all share a family-like bond. When times get stressful, they like to revert to a “hype” mentality because they realize that all teams are facing the same situation. They put in hard-work year-round and are always willing to improve themselves. More than just supporting their own members, they even like to cheer on fellow teams with the same passion and camaraderie that they would their own. Louise White, one of USC Moksha’s captains says, “Every moment is memorable because we just love to be around each other, whether it be during practice, at after parties, or even if we are just have a small get together.” Aside from competitions, the team also participants in various events, bondings, and traditions. A funny tradition that their team likes to partake in is to take pictures of other members sleeping and posting them to social media accounts. USC Moksha never refuses the opportunity to sing Bollywood songs. Apart from embarrassing each other with sleeping photos and singing Bollywood hits, they also love going to Cookout after practice to grab a bite or milkshake. 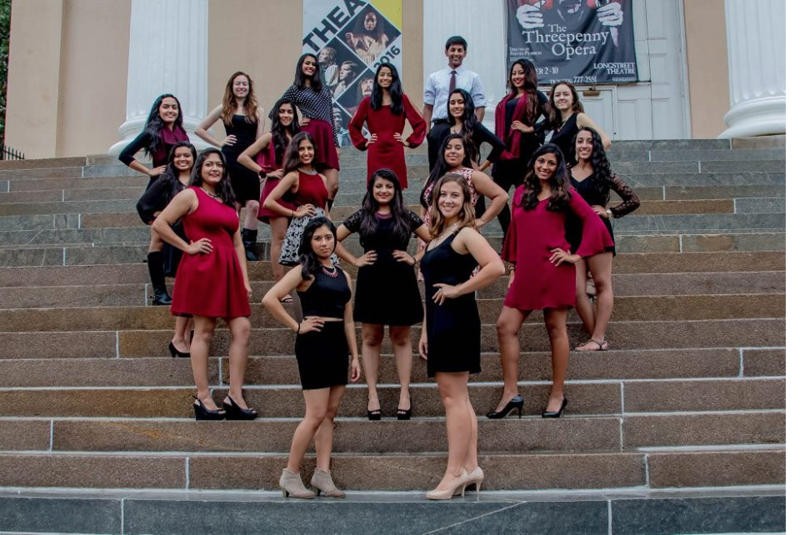 The Desi Dance Network community is excited to see Moksha perform more this upcoming semester, and wish them the best at their competitions and showcases!